This level has hard difficulty and you need to use good strategy to complete this level. 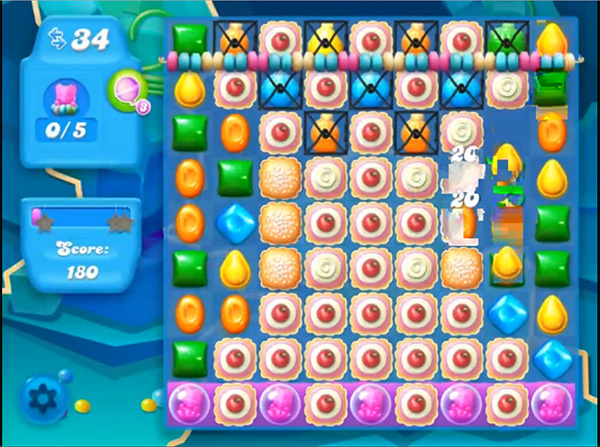 For this level you should try to play from bottom and break the blockers plus make striped candy as you get the chance. Or make wrapped candy by making T or L shape of same color candies and combine wrapped candy with striped candy to break more grills. After then break the soda as you get the chance to increase the soda and break blockers near to bears so they wont stuck on it and easily go to the top string.